﻿PROTECT THE ENVIRONMENT, LIVE IN A CLEAN WORLD! 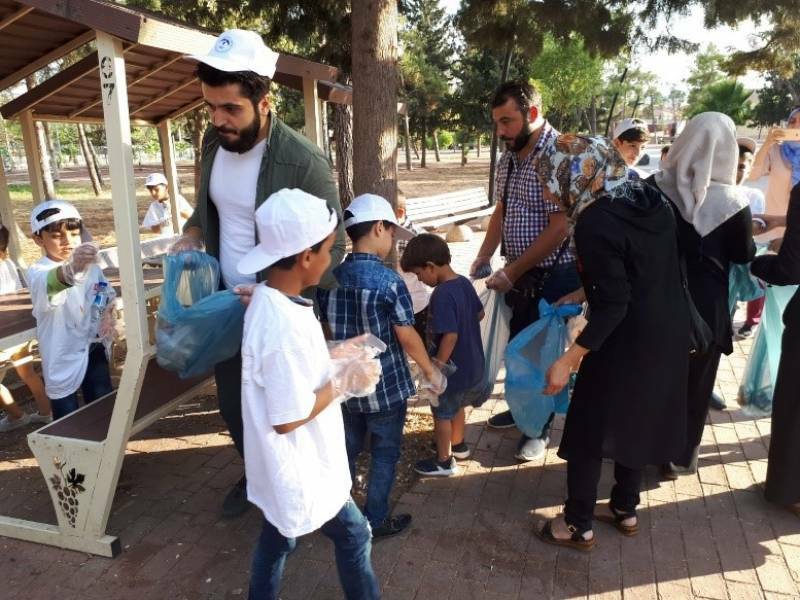 On 17/09/2018, International Blue Crescent Relief and Development Foundation (IBC) Kilis Community Center facilitated an "Environmental cleanliness" 40 participants (the students and their families) were transported by 2 vehicles to Karatash park where the CC workers checked the attendance list and distributed the T-shirts and hats with the IBC logo to everyone. We allowed the children to play in the park for half an hour and all the CC workers took care of the safety of children. After that, they had lunch. Then, the children were provided with an awareness session on the services available for Syrian refugees by the Turkish goverment, with focus on the responsibility to save and keep public utilities. After distribution of gloves and garbage bags, the children were divided into groups to clean up the park. All the garbage was collected and dumped in the garbage truck. All the participant were happy and active. At the end, the children were returned to the center by a vehicle and stated that they wanted to repeat this activity. To raise the beneficiaries on the importance of the public facilities and hygiene. To raise the children's sense of self-leadership. To improve the concept of participation in beneficiaries. To reinforce the importance of responsibility.